While the majority of the stories I mention in these posts will have a technology flavour, some are not always pro tech! More than just the start-up funding, what’s just as critical for the long-term success of the product will be the developer and application ecosystem that is built up around the device. As at writing, the project had only reached AU$13,500 of its $250,000 goal, so hopefully enough people get behind it. That said, I’m not sure that a single-purpose device like this will have widespread appeal. Earlier this year I wrote about Holiday by MooresCloud, which has a similar concept of building a developer ecosystem around its product, but I also mentioned some work that Explore Communications had done with ShoreTel’s Dock, which I think has the potential to be the shortcut to success. Why build from scratch, when you can adopt and use a dominant and widely used technology? In this case, ShoreTel, an IP telephony vendor, has built a physical docking device which acts as a deskphone when it is coupled with an iPad or iPhone. The company has developed an app and backend infrastructure so that users can use their iPads and iPhones as their deskphone, complete with all the functionality that they would get with a dedicated unified communications (UC) device. Clever, although time will tell if it is a successful strategy. Last week (segue two), news also came through from two of ShoreTel’s competitors in the UC space – Mitel and Aastra agreeing to merge. The two companies are very complementary in terms of geographical strength and channel partnerships, but each has a very competitive product set, so it will be interesting how they go integrating their products and technologies. I’m not sure that the strategy will work – if you don’t end up offering the end user a greater product as a result of coming together, then why merge? At the end of the day, it’s the buyers who will decide the company’s future, and if they don’t see any benefit, they will go elsewhere. Buyers really do decide a company’s future (segue three), and I read with interest “Hasntpaidyet.com: Debt dodgers named, shamed by traders”. It’s a clever idea: a website that effectively shames businesses into paying long-overdue invoices. “In less than a month, HasntPaidYet.com has helped settle about 200 small business debts involving sums of between $40 and $2500.” As a small business, Explore Communications has felt the pain of unpaid invoices, so it’s a very tempting website to use! Lately, we have experienced what I believe are unethical business practices, and it’s really disheartening to see that in an industry that is largely built on relationships and trust. Sometimes, it’s just easier to walk away. I’ve had plenty to say about Freelancer.com in the past, most recently when there was a rumour that the company was considering an acquisition offer from Recruit Co. (interesting timing, given the subsequent IPO). I’ll say it again – promoting article spinning jobs is highly unethical. Apologies for all the dodgy segues, but it does remind me to mention Segway Tours South Coast – my son was due to go on a tour last week, but wet weather intervened. Does anyone else remember the excitement that had been whipped up around the product before it was launched? 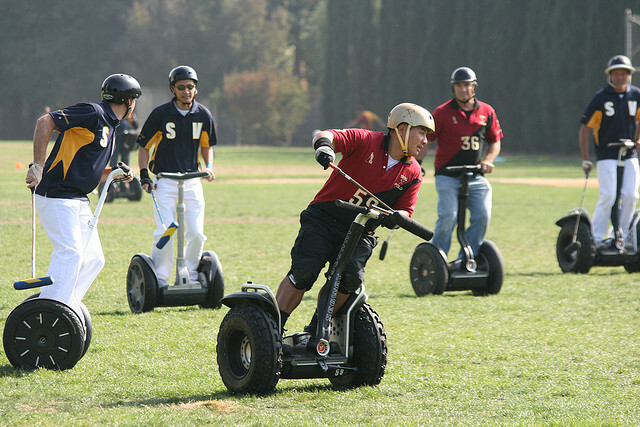 Now, it seems largely a novelty: Segway Polo, anyone?